One of my favorite games as a child was to discover buried treasure. Of course, you needed a gang of like-minded ‘mates a couple of spades… and a treasure map! Before you knew knew it, we’d dug up half the garden and half the lovely old lady nextdoor’s garden too. The time we got really lucky, we dug up a couple of worms, and kept them to go “fishing” the next day. Flash back to reality… now that we are all grown up, the romance of the treasure hunt remains entrenched in our hearts. So what better way to pay tribute to our childhood memories than by creating a treasure map of our own? You can add and remove the apartments in any area of Barcelona. Likewise, you can add and remove the types of apartments most suitable to your requirements. Then click on a property’s icon on the map itself to get the vital statistics and a picture in the nifty little bubble. Atop the map you can see a list of apartments too, which is especially useful when you seek out multiple apartments for a big group, all in one location. 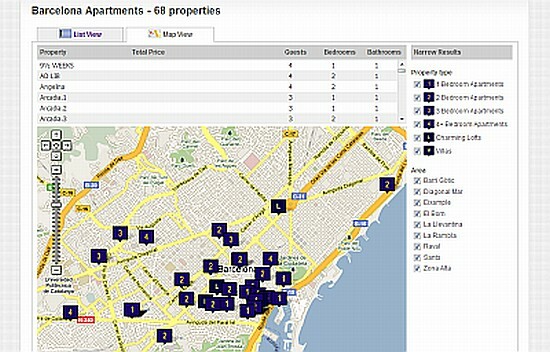 Now you can see your chosen apartments either on a list – the traditional way – or on the map. When you include the dates of arrival and departure you’ll get the prices too. So just click the tabs at the top and toggle back and forth as much as you like. Soon, we’ll add a synchronization so if you make a change to the list, you’ll update the map and vice versa. 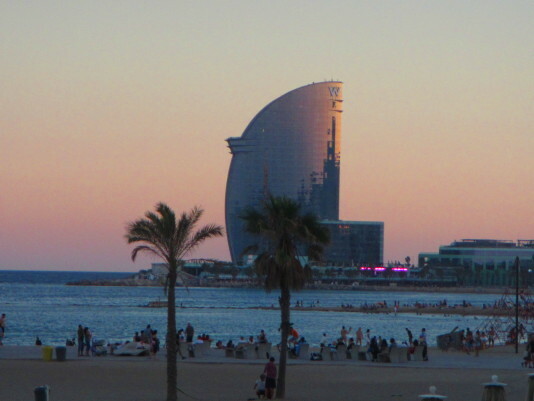 The treasure of a lovely stay in Barcelona is right here waiting for you to find it.